Rooms: 1 loft sleeping area with a queen-sized bed. Very cosy but dimly lit. There is a pretty steep ladder connecting the loft with the ground floor, so not ideal if you have wobbly knees or vertigo, or use the toilet a lot a night. Better suited for a single guest. Facilities: Small fridge and kitchen. The bathroom was a little too small for a comfortable shower. Dining: Lots of options within walking distance. Location: Great location near shops, restaurants, cafes and a swanky food department store called Eataly. Service: Very friendly and helpful couple who were more than happy to recommend places to eat and things to see. Things to do while here: The Duomo cathedral, Galleria Vittorio Emmanual, one of the oldest malls in the world, the Museo del Novecento, Navigli for the nightlife and Mercato Metropolitano. 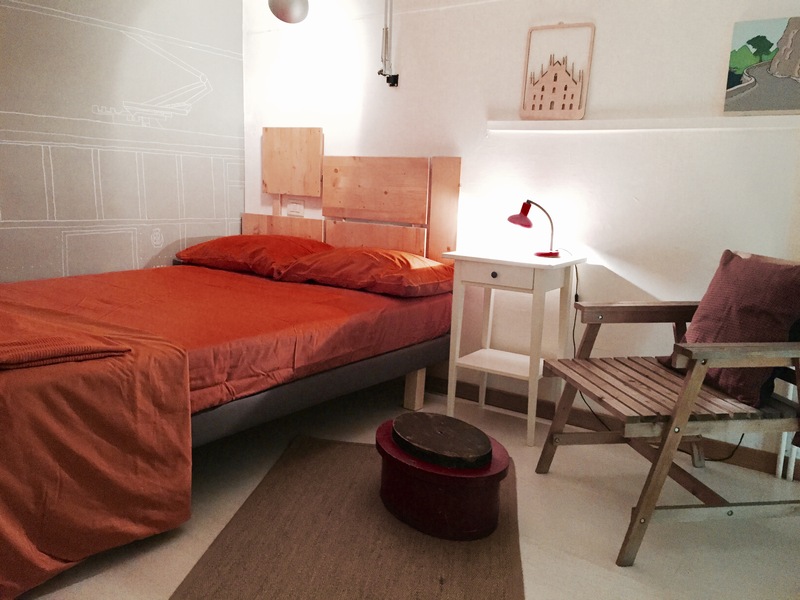 This entry was posted in Airbnb, Europe, Italy, Milan, Moscovo, Stay. Bookmark the permalink.